When renting a property – perhaps for the first time, it’s important to understand the legal obligations of your existing landlords to ensure that you don’t run the risk of your possessions being damaged, or worse still, your health being affected. So what, as a tenant, should you be looking for when renting a property? As a new tenant you should receive a Department of Local Government and Communities How to Rent Guide at the start of your tenancy which gives practical advice about what to do before and during a let. A Guide which, as a tenant, you must confirm you have seen at the start of a new tenancy. An Energy Performance Certificate, or EPC for short, details the energy efficiency of a property and gives a rating from A (the most efficient) to G (the least efficient) and should not only be available when a property is being marketed but also on the first day of a tenancy. A Gas Safety Record (GSR) should be in place to ensure that all gas appliances, pipes and flues are in safe working order and must be carried out by a qualified Gas Safe Register engineer. It’s important that this is then checked every 12 months. Landlords and lettings agents are required to register a tenant deposit with an approved Tenancy Deposit Scheme to ensure that the tenant’s money is protected within 30 days. You should receive a certificate confirming which Deposit Scheme your money is protected with. Landlords – with properties in England – have to have at least one smoke alarm on every floor of their properties - even where only a bathroom is located. And, if any room contains a solid fuel burning appliance, such as a wood burning stove, a coal fire or an open fire place, a carbon monoxide alarm has to be present too. In addition it is worth noting that landlords, or their agents, must carry out identity checks on every occupier of a rental property (including UK nationals) who are 18 or over at the start of the tenancy - and before you sign a tenancy agreement. This is to make sure you have a legal right to be in the UK – the Right to Rent check applies in England ONLY. The identification documents must be selected from the list specified by the Home Office and if the initial check is done more than 28 days before the tenancy starts, you must have another Right to Rent check completely before your tenancy can commence. All in all the lettings regulation is there to offer protection ensuring that, for those planning to rent a property, the process is a happy and, above all, safe one. 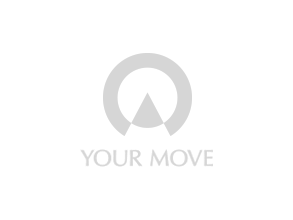 For further details about lettings regulation simply access the Your Move website at https://www.your-move.co.uk/landlords/guides/lettings-legislation-and-safety-regulations or call into one of our branches for help. Tenants: who should be there for check in and check out?